Another sunny day to end the 2018 season for Jonelle and Hester. Hester stormed through the vets inspection looking in great condition and there was plenty to look forward to in the showjumping. The afternoon sunshine is low on the horizon in the Loire Valley at this time of year and Jonelle was wondering if it was the shadows in the treble that caused Hester to tap out two rails as she said she felt fantastic around the rest of the track. Hester is a careful horse and she has only ever had a rail on 2 different occasions with both Tim and Jonelle so it was unusual to say the least. As Jonelle posted, it was not the way she wanted to end 2018 but “apparently you can’t win them all”! Very true…and that’s why the good days as such good days. 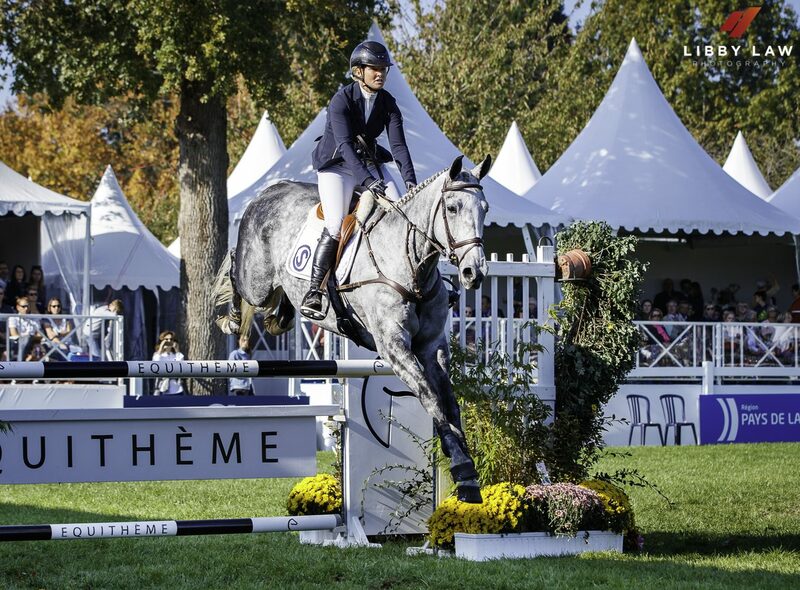 Had Hester jumped clear she would have made the top 12 but it is still always an achievement to get to the World Young Horse Championships and Hester is certainly a future star in the making. As Jonelle heads home for a bit of welcome downtime Ascona M ( Ava) is heading on down to Pau after a break at Le Lion d’Angers with Lucy Miles and Jesse Campbell’s head honcho Emily Littlejohn and traveling companions Cleveland ( Freddie) and I Spye ( Pi). Pi is an amenable chap heading down for the 2 star but Freddie is a wild beast who probably holds some very right wing views…I can only imagine the hotheaded conversations he will be having with the beautiful but probably extreme left wing Ava! Tim flies down on Monday morning and the last of the last events of 2018 begins.